Our first priority at Bolingbrook Foot Specialists is keeping you active and on your feet. Foot problems are not something to be ignored, and foot pain is never normal. When your feet ache, your entire body can ache. With proper diagnosis and treatment, most foot and ankle problems can be treated successfully. We also carry many professional-grade products which you can purchase that will help you with your foot care, including lotions, shoe inserts, toe cushions, and more. Our website includes a patient education library, with helpful information about foot and ankle problems. 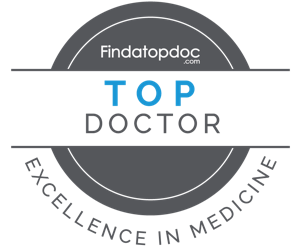 As you browse the site’s pages, you will also find valuable information about our practice, including directions to our office, hours of operation, payment policies, staff bios and more. We hope that you will consult these pages whenever you have a question or concern about your foot and ankle health. Walk into our office, and walk out with improved foot health. Our office staff looks forward to caring for you! If you have foot pain of any kind, run, don't walk to see Dr Mackler at Bolingbrook Foot Specialist! Went to Dr. Mackler after seeing other podiatrists and spending over 18 months in pain. I just came back from walking 45 miles at Disney World. Not a single pain in my feet!! He and his staff are wonderful! Thank you, thank you, thank you Dr. Mackler! Doctor Mackler the best foot doctor. Love him and his staff are the best. I been his patient for the past 13 years. And my husband too. Highly recommend. Dr Mackler and his team are fantastic! Great service and even better outcomes. My husband had an ingrown toenail that was very painful. Dr. Mackler was very professional and patient explaining everything to my husband, who is deaf. More importantly, his toe healed quickly and he's been pain free ever since.